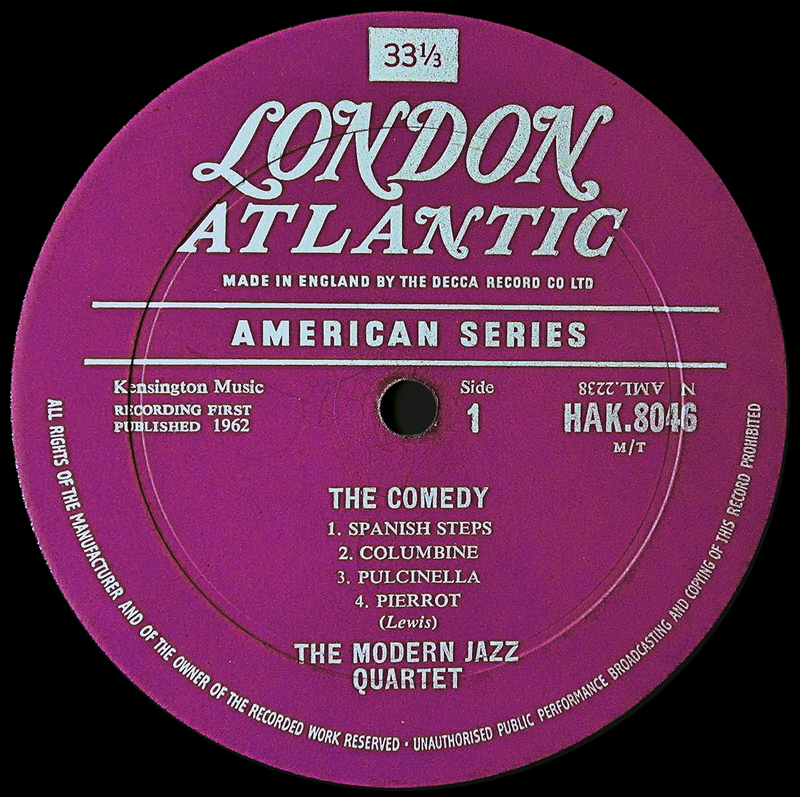 London Records was created by Decca in the 1940s to enable transatlantic releases from the UK into the US, and vice versa. Due to the presence of a Decca subsidiary company in the US, British Decca was unable to use the Decca name in North America, and released records there under the “London” label. In the UK, the London label was used by British Decca to release American recordings which British Decca licensed, such as Atlantic. Being owned by Decca, naturally all the records released in the UK under this label were mastered and pressed by Decca, at their South West London plant at New Malden . 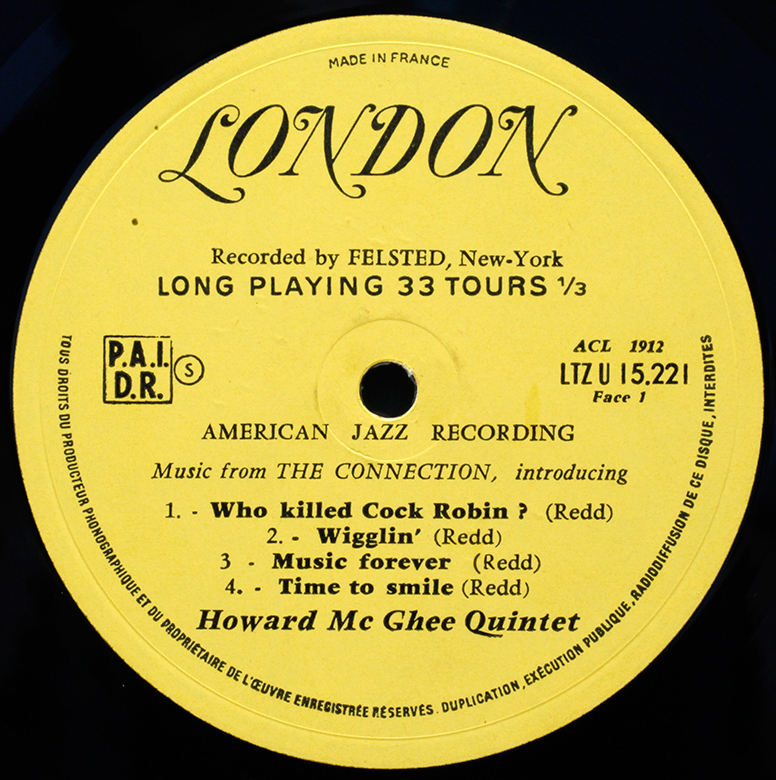 Unlike Esquire Records, who pressed US recordings using original US-made stampers, the London label releases were mastered from copy tapes sent from the US. As a result it is not unusual for UK pressings to differ sonically from original US pressings, the differences being a matter of preference and not necessarily one better than the other. Interesting provenance, a (Decca) London release, of a Contemporary recording, but in Japan, through King Records. This is one mixed up kid, unearthed by LJC reader Antonio. 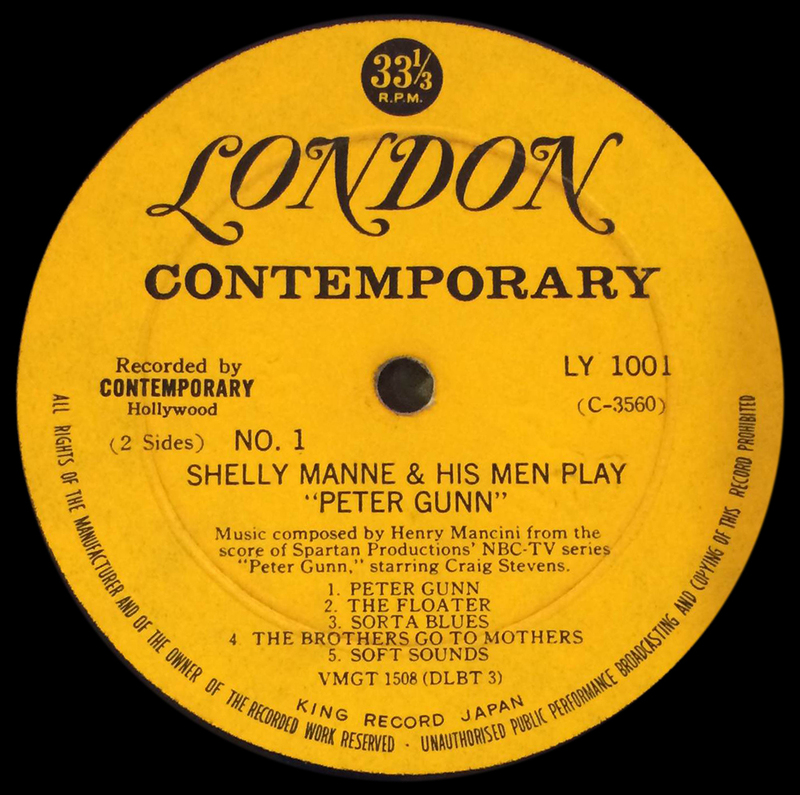 Decca released Contemporary in the UK on its Contemporary Vogue label. But as we saw with the French pressing of Felsted, Decca has form in sub-licensing overeas with its London identity, so it’s a small stretch to create London Contemporary in the manner of London Atlantic – a specialist sub-label. Decca master VMGT 1508 finds its was to Tokyo. Note: incomplete – compiled from a Discogs partial listing plus my own collection and contributions from readers. A more complete listing can be found at the excellent Both Sides Now site. 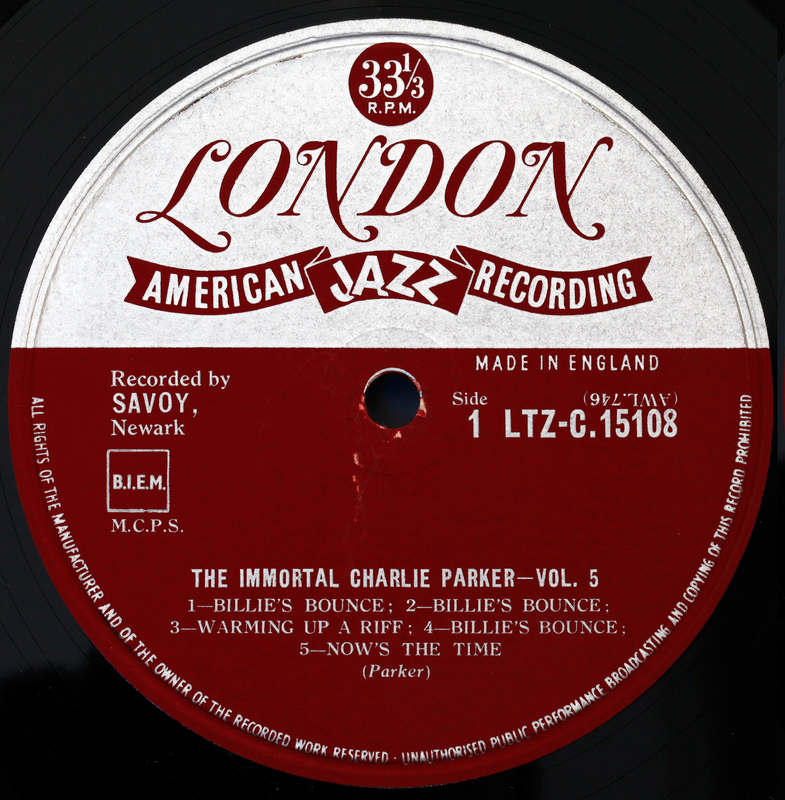 The genre here is Jazz – the full London catalogue listing covering of course large numbers of rock and pop releases. LTZ-C 15018 Nat Adderley That’s Nat 195? LTZ-K 15024 Wilbur de Paris And His New Orleans Jazz 195? LTZ-K 15037 Marty Paich, Larry Bunker Jazz City Workshop 195? LTZ-K 15137 Jimmy Giuffre Jimmy Giuffre Three Travelin’ Light 195? LTZ-K 15179 Shorty Rogers Way Up There 19?? LTZ-K 15215 John Coltrane Coltrane Jazz 19?? LTZ-K 15225 Slide Hampton Sister Salvation 19?? LTZ-K 15232 John Coltrane Milt Jackson Bags and Trane 196? LTZ-K 15237 John Lewis The Wonderful World of Jazz 19?? 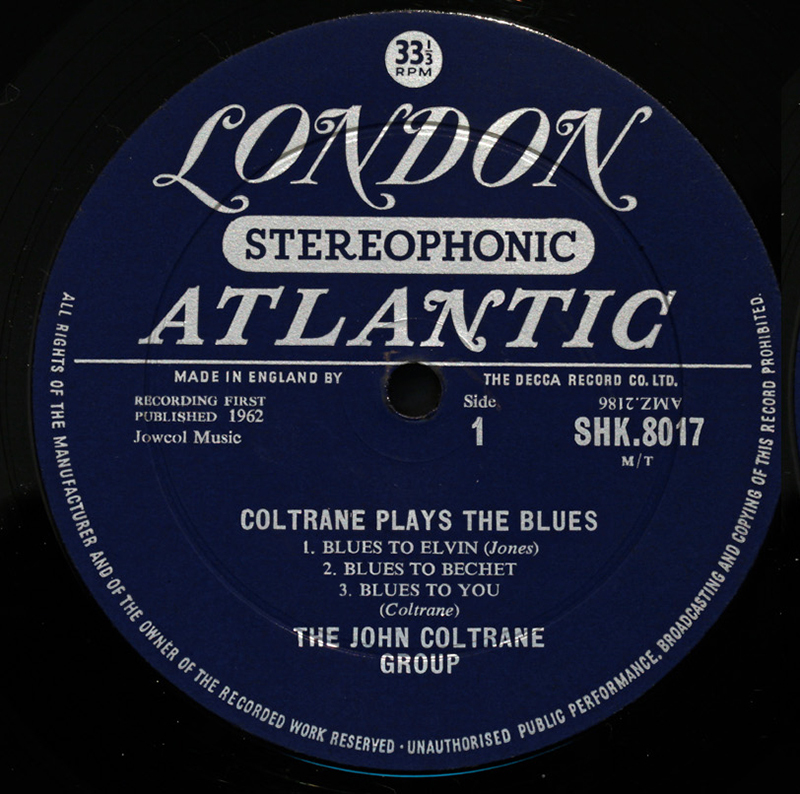 LTZ-K 15239 John Coltrane Ole 196? LTZ-M 15152 Waters, Muddy Best of Muddy Waters 19?? LTZ-N 15001 Milt Hinton Milt Hinton 195? LTZ-N 15010 Red Allen Cozy Cole Jazz at the Metropole cafe 195? LTZ-N 15036 Conte Candoli Conte Candoli 195? LTZ-N 15063 Sam Most Sextet Sam Most Sextet 195? LTZ-N 15067 Frank Rosolino Frank Rosolino 195? LTZ-N 15078 Duke Ellington Duke Ellington presents 195? LTZ-N 15100 Stan Levey sextet Stan Levey sextet 195? LTZ-T 15172 Milt Jackson with Benny Golson 19?? LTZ-T 15176 Benny Golson Benny Golson and the Philadelphians 19?? LTZ-T 15181 MJQ BennOdds against Tomorrow 19?? LTZ-T 15181 Tubby Hayes Ronnie Scott & Tubby Hayes (ex Carlton) 19?? LTZ-T 15189 Pee Wee Ervin Down By The Riverside 195? LTZ-U 15133 Howard McGhee Quintet the Connection 195? SAH-K 8007 Charles Mingus Oh Yeah! 196? I had the London American recording of Champion Jack Dupree’s Natural and Soulful Blues. It was the stereo Blue and Silver label. Found it early December 1968 (or maybe ’69) here in the U.S., in Dayton’s on 8th St. NYC. It was in the cut out bins in the back for $1.99 (if the pound’s exchange rate was still $2.40, the price would have translated to about 16/6). It played well and is a good album but I like Blues from the Gutter better. I also found in the same section that evening, a Fontana Spencer Davis with Stevie Winwood for the same price. Just picked up: LTZ-N15041 Red Mitchell (Jam for Your Bread) which I cannot find listed – looks to be the UK version of your Bethlehem release. Thanks for the great blog!! Nice find Pete. These London Decca pressings are nice, and generally very well engineered. Though quite rare, not as rare as Bethlehem. Thanks, I’ve added it to the catalogue. You should add the amazing LZ-U 14040. The Marty Paich Quartet featuring Art Pepper. Originally a Tampa record. The London blows the Tampa off its socks. I think the consensus supports the London as preferable to the Tampa original, though that is received wisdom. The Tampa is impossibly rare. The Tampa is red, expensive, and according to someone with deep knowledge of such matters, sounds terrible – London is the preferred edition, according to him. I’ll have to take his word for it, too expensive to find out the hard way. Another one for your list Kenny Dorham – Jazz Contrasts LTZU-15133 a great sounding record with the original mono crimson labels. My “Best Of Muddy Waters” is a London American Jazz Recording LTZ-M 15152. Thanks John, I have updated* the London Label page adding your contribution, and also those of Sven from Sweden (Thanks Sven!). Anyone out there who can add to the listing, email me your contributions (catalogue number, artist, title, and year recorded) Email address in the foot of the “About LJC” page. *Just so you know, chaps, updating has required me to grapple with the underlying HTML code, a late learning curve but useful nevertheless. Who says I.T. is just for youngsters? since I was able to recognize a 1st press trough this website I feel that it is my duty to contribute. Welcome! Olé is from ’62 by the way. I bet coltrane jazz and bags and trane are published in the same year. Props to you, keep up the great work! Very nice. Thanks for the info.